I still remember the day when i was at my home in delhi,india.i had just finished my dinner and was talking to my family members.our television was switched off.usually we watch television when we have dinner together.but that night our television was off for some reason.after the dinner i decided to turn on the television to watch some news.when i toggled to one of the news channel i realized that something has gone really bad in newyork city united states.it was september 11 2001 around 10 pm at night in delhi and around 10 am – 11 am in newyork city.to my utter astonishment what i was seeing on screen was surreal.i had never seen these kind of images in my life.it was live on tv ,a mass destruction and tv channels were showing the same footage over and over again ,planes hitting the twin towers.i could not believe my eyes.me and my parents were in shock.i remember not to turn off the television set late into the night and we glued to news channels. These were the images we were looking at.this is one of the most famous and conclusive video of plane crashing to north tower. I had never seen live footage of plane crashing to any tower before so to me it was unthinkable.questions were bouncing in mind.who did this ?why and how this all happened ? who is responsible? was this just a plane crash or a well co ordinated attack at world trade center ? i knew i will get my answers in few days or in weeks time.but i was disturbed to see these images. what happened next i was not prepared for it.i saw another plane crashing into the south tower.this time the plane was even bigger than the first one which hit the north tower.it was a proper boeing passenger jet and the explosion was much larger than the first hit. Oh my god ! i shouted.as my family watched the news in disbelief. By this time CNN,FOX NEWS,CNBC were all covering the first impact live on TV and as it happened millions saw the second plane crash live on TV.it was not hidden from anyone by now that it can’t be a co incidence.it was indeed a terror attack on Twin Towers.a well planned and co ordinated one. Like this was not enough there was news of another plane crash at pentagon.i was like what the hell is happenning ? is this even for real ? i was speechless. At 9:45 am all United States airspace was shut down and no plane was allowed to fly in any zone. Time Line :- 9:59:04: The South Tower of the World Trade Center begins to collapse, 56 minutes and 2 seconds after the impact of Flight 175. But this was not enough.it was not over yet.crash of another plane flashed on screen but there was no video available of plane crashing. It was said there was a revolt between passengers and hijackers in United Airlines Flight 93 which lead to a crash. All this happened in a matter of two hours and one of the worst terror attack in the recent memory was on United States.it left in tears.i could’nt say a word.i was speechless for number of reasons. It was my dream to visit twin towers.i had seen twin towers in magazines,new papers,internet and on TV.i always had this immence desire to visit twin towers ,to reach the top and see the newyork city.United States being my favourite country twin towers was one of the reasons why i always wanted to visit United states.but this dream was shattered after this event.i realized i won’t be able to visit twin towers again.i won’t be able to reach the top of twin towers and will have a chance to enjoy a majestic view of newyork city. The terror attack on United states can’t be undone now.it has become one of the most grim chapter in the world’s history.could be an event which has changed the world completely.number of events took place after 9/11 attacks.laws in United Kingdom become stringent.now it was difficult more than ever to travel in any part of europe,specially for asians.United states brought more tight laws against anyone in the world.to cross the border was much more difficult now. 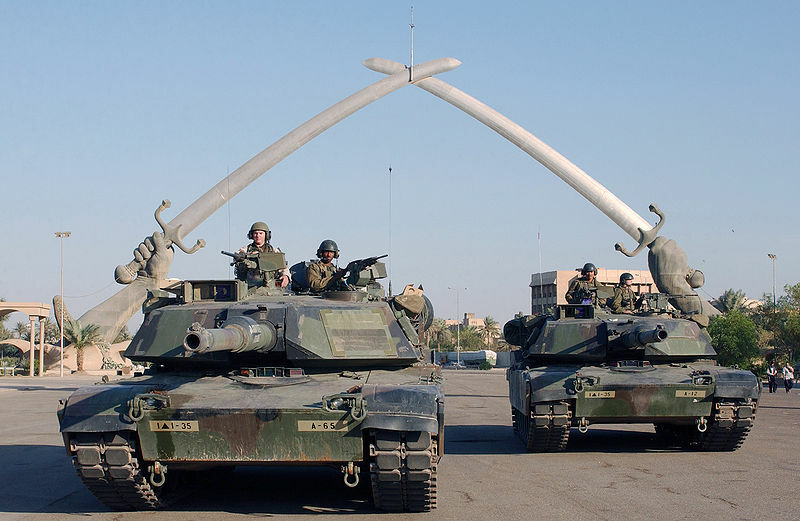 In 2003 American invasion of Iraq began which ran from march 19 2003 – may 1 2003.Titled as iraq war or operation iraqi freedom ,combined forces from United States,United kingdom and smaller contingents from Australia and Poland invaded Iraq and toppled the regime of Saddam Hussein in 21 days operation. 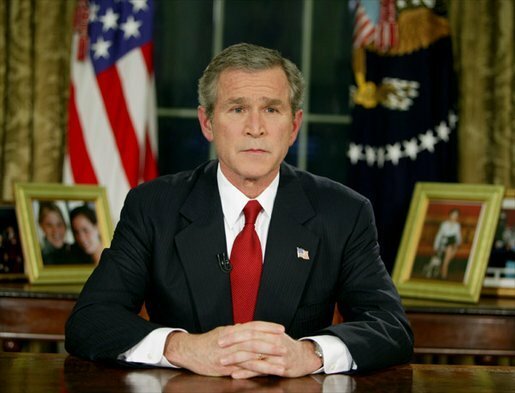 According to U.S. President George W. Bush and British Prime Minister Tony Blair, the reasons for the invasion were “to disarm Iraq , weapons of mass destruction, to end Saddam Hussein’s alleged support for terrorism, and to free the Iraqi people. United States might have invaded iraq but they did’nt find any weapon of mass destruction.Bush administration faced public anger as more than 5000 US marines died in iraq war. 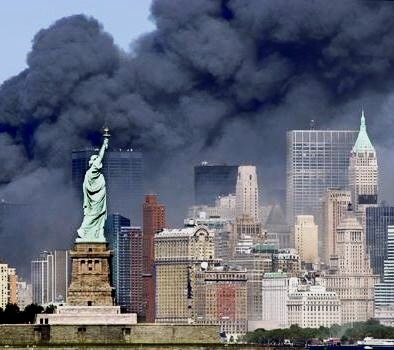 Controversies have always been a part of any big event and 9/11 attacks were no different.after the attacks United States launched an invasion of Afghanistan which began on oct 7 2001 and is still on going even after the death of osama bin laden.